Arista is a family owned and operated winery estate founded in 2002 by Al and Janis McWilliams. The four estate Pinot Noir vineyards and hospitality center are located on 36 acres along Westside Road in the Middle Reach sub-region of the Russian River Valley. 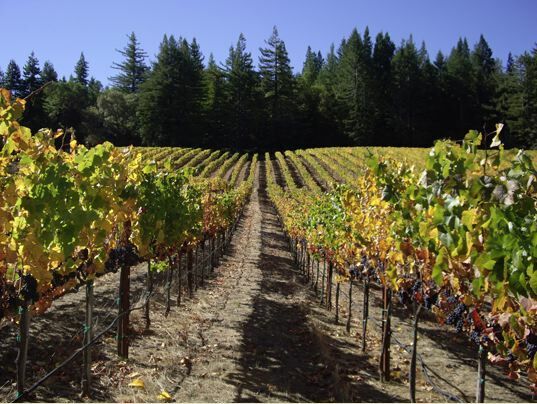 The emphasis is on appellation and vineyard-designate Pinot Noir and Chardonnay. The wines reviewed here are the inaugural offerings from winemaker Matt Courtney, who joined the winery on January 1, 2013. Courtney spent the previous eight years as an assistant winemaker at Marcassin Winery after graduating from University of California at Davis with a degree in enology and viticulture. The winery’s beautiful tasting room is surrounded by a serene Japanese garden and is open daily. The wines are sold on the winery website at www.aristawinery.com, through a mailing list (currently closed but a waiting list is available), and through distribution to wine stores (larger production offerings) and select restaurants nationally. The Bacigalupi family are Russian River Valley originals, with a history of farming on Westside Road dating back to 1956 when Charles and Helen Bacigalupi bought the 121-acre Goddard Ranch. Today, the Goddard Ranch has 120 vineyard acres and is the oldest ranch among several that the Bacigalupis farm. Charles’s son, John, was raised on the Goddard Ranch and after a lifetime of winegrowing experience, teamed with his spouse, Pam Heck Bacigalupi, and fourth-generation nephew and winemaker, Tyler Heck, to found John Tyler Wines. 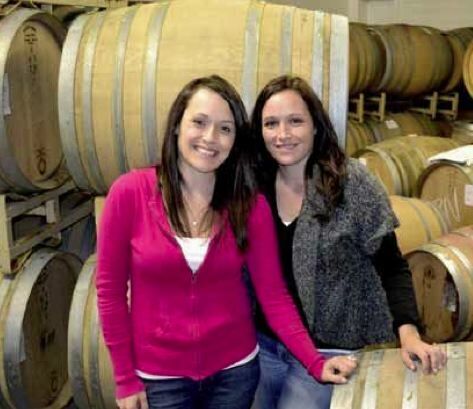 John and Pam’s third generation twin sister daughters, Nicole and Katey, became the face of John Tyler Wines and were instrumental in the building of a stylish tasting room on Westside Road where the wines are featured. Beginning in 2013, the name of the winery was transitioned from John Tyler Wines to Bacigalupi Vineyards to honor the legacy of winegrowing of the Bacigalupi family. The first releases bearing the Bacigalupi label were from the 2011 vintage and were vinified by new winemaker Ashley Hetzberg. She changed the style of the wines to make them more gracious and enticing upon release. The wines are available at the winery’s tasting room and from the online website store at www.bacigalupivineyards.com. The 2013 vintage wines reviewed below are sold out, but the 2014 versions are now available at the same price. The Petite Sirah, Zinfandel and Petite Sirah-Zinfandel blend (Fondare) are also outstanding wines. The Bacigalupi twins staff the tasting room and are delightful hosts. The Bacigalupi wines have a pedigree, a legacy, and a family that embraces the consumer’s interest. 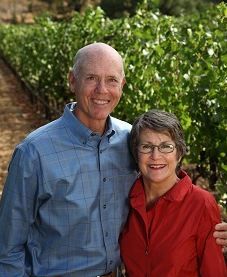 This winery, owned by Tom and Rebecca Green Birdsall, focuses on producing small lots of Pinot Noir from the varied blocks of Kite’s Rest Vineyard in the Anderson Valley as well as Pinot Noir and Chardonnay from other similarly expressive vineyard sites in other regions such as the Santa Lucia Highlands and Sonoma Coast. Kite’s Rest Vineyard is located on a 40-acre parcel in the “deep end” of the Anderson Valley where vines coexist with towering coastal redwoods. The vineyard consists of a total of 12 acres divided into three very distinct blocks. Veteran winemaker Jeff Gaffner crafts the wines which stylistically feature generous oak highlights. The wines are available through the winery’s website at www.blackitecellars.com, the winery’s wine club, and through select distribution in wine shops and restaurants nationally. Brian Loring has been crafting Pinot Noir for nearly 20 years. He was one of the new wave of early boutique California Pinot Noir producers to enter the field from another profession (in his case, software engineer). His continued success has been predicated in part on his insistence that he acquire first-rate Pinot Noir grapes from prestigious growers. 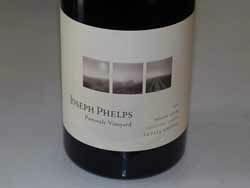 He never professed to be a knowledgeable winegrower, allowing vineyard owners leeway to farm his blocks as they farmed the blocks for their own label. 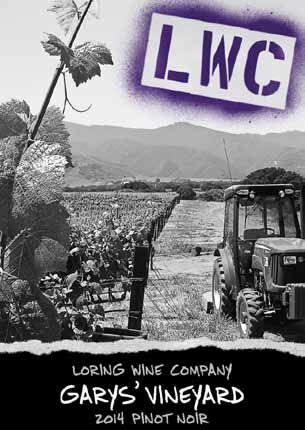 Of course this has changed as he has acquired more experience over the years but quality grapes still remain the cornerstone of the Loring Wine Company label. Many of the vineyards appear on the front label of the vineyard-designated wines. Stylistically, the Pinot Noirs have been bursting with showy fruit framed by a toasted oak character, but the wines have become more refined and now are more reflective of site. Brian branched out into Chardonnay in 2009, and more recently sparkling wine. A new tasting room is open Thursday through Monday in Buellton near the Hitching Post II restaurant. The wines are sold through a mailing list at www.loringwinecompany.com. Brian’s sister, Kimberly, is actively involved in all aspects of the winery as well. At crush, the Pinot Noir grapes are de-stemmed, cold soaked, and then fermented with proprietary yeast. The small lots are pressed using a basket press, and aged in Francois Frères and Sirugue French oak barrels that have medium toast. Approximately 50% of the barrels are new in each vintage. The wines are stored in the caves at Cottonwood Canyon Winery. All wines are closed with screwcap. Heather Manross carries on a family winemaking tradition by practicing natural winemaking techniques. Her approach is rooted in balance and non-manipulation during every phase of the winemaking process. She left a career in Hollywood’s television and film industry to pursue a career in wine. After a stint at one of the largest wine retail and wholesale operations in Southern California, she held management positions for several Napa Valley wineries where she learned the intricacies of winemaking and began to articulate her own winemaking vision. Heather’s vineyard sources include Donnelly Creek in Anderson Valley, Lone Oak Vineyard in the Russian River Valley and Hawk’s View Vineyard in Oregon’s Willamette Valley. The wines are sold exclusively through a mailing list at www.manrosswines.com. 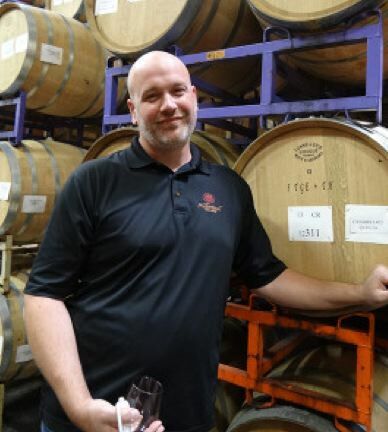 Winemaker Joe Otos formed Willowbrook Cellars in 2001, partnering with retired technology entrepreneur John Tracy and retired sales executive Ed Sillari, both of whom had moved to Sonoma County to pursue the wine business. In 2003, Joe began to seek out small, special vineyards in the area and this led to a long term collaboration with the Kaufman Sunnyslope Vineyard on Sonoma Mountain. The Willowbrook Estate Vineyard Pinot Noir is made from fruit from John Tracy’s vineyard. Pinot Noirs are also bottled using fruit from Carneros, Sonoma Coast and Monterey County. Visit www.willowbrookcellars.com for ordering details.